Nestable grit bins are best suited to busy environments and great when you need to dispatch grit bins quickly and efficiently. 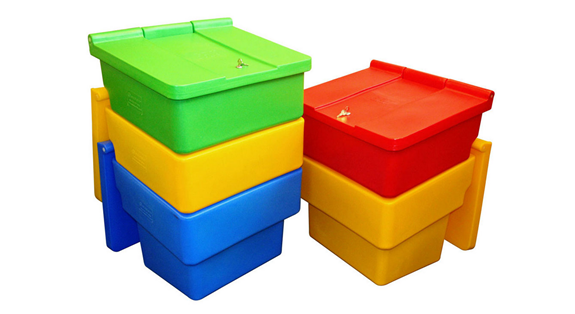 The stackable design means they are super easy to transport and take up less space than a normal smaller grit bin. These are ideal if you have large premises and need to dispense salt/grit throughout making sure that your company is running smoothly through the winter months. 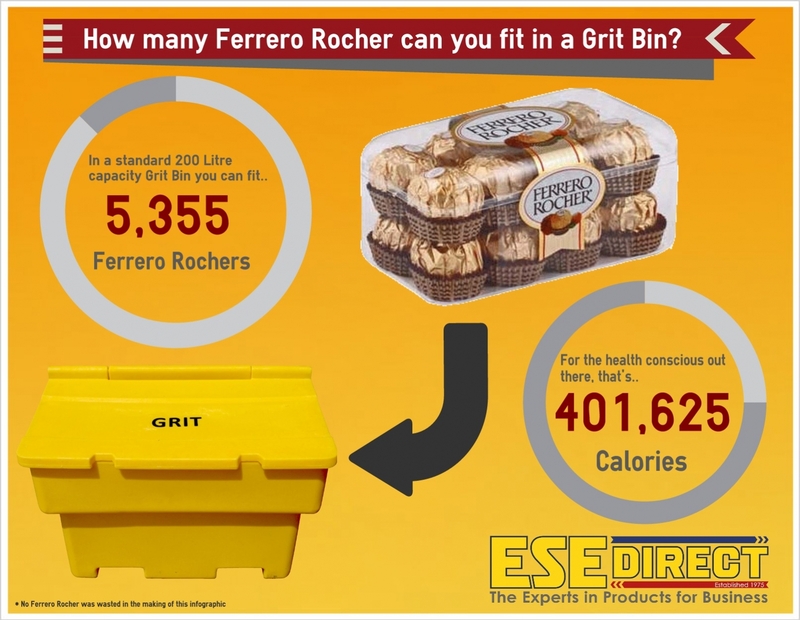 The standard grit bin, it is a common sight in the depths of winter. Did you know these are also stackable, and they feature deep channels at the bottom in case you need to move them with a forklift, adding to their versatility. 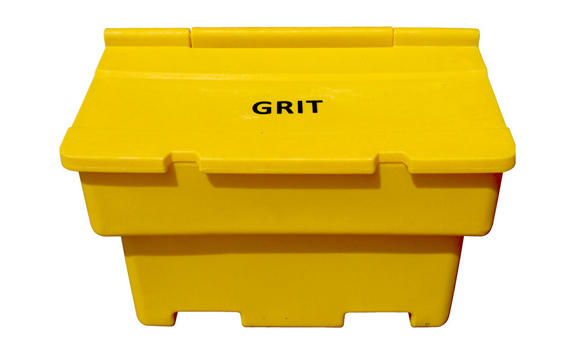 The grit bin can also be used during the warmer months for other storage if you do not keep the grit stocked up all year round. We found a great use for it in our handy infographic below. 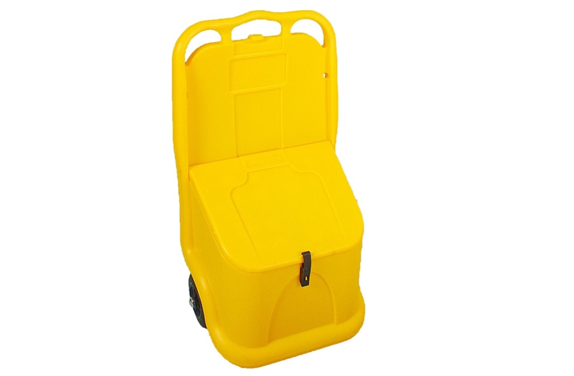 This mobile granule dispenser is actually designed for distributing absorbent environmentally friendly granules in the event of a spillage however in the winter months it can act as quick way to distribute grit or salt to the ground to stop pathways and walkways making keeping employees and visitors safe from slipping when they visit your business. It has also been used for animal feed, fertilisers and seeds. Also resistant to impact to -40°c degrees, its compact which means little space is needed when storing.